Planning your trades can go a long way in making sure you trade profitably. Most traders use a form of Fundamental and Technical research when deciding what and when to trade. 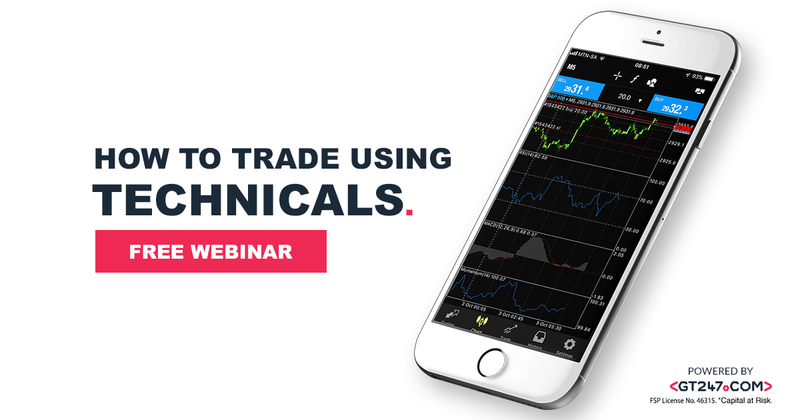 Our man on the desk Barry Dumas will be holding a FREE webinar to explain the basics of Technical Research and he will help you equip yourself with better knowledge on how to read and apply Technical Research. To participate in this webinar, simply book your seat and power on your PC or mobile phone to tune into the webinar. Feel free to ask questions and engage with our team. To take full advantage of this session, make sure to be logged into your MT5 account with GT247.com. Free seats limited to the first 100 registrants so don't delay!